Estufa Fria is real green museum located in Eduardo VII Park just in the centre of Lisbon. The area is divided in three different zones: the cold greenhouse contains winter plants, the second houses tropical species and the third one the famous fleshy plants. Estufa Fria has great scientific and botanical value. It was built in 1930 and allows visitors to rest their spirit and purify their senses in front of an enchanted scenery of lakes, fountains and statues. Eduardo VII Park is located on the extreme north side of the Avenida da Liberdade, right behind the Marquês de Pombal Square, and was originally called Liberty Park. Renamed with the name of the King of England who came to Lisbon in 1903 to reaffirm the Anglo-Portuguese alliance, this park provides excellent views over the city and is frequently used to hold exhibitions, concerts and the annual booksellers fair. 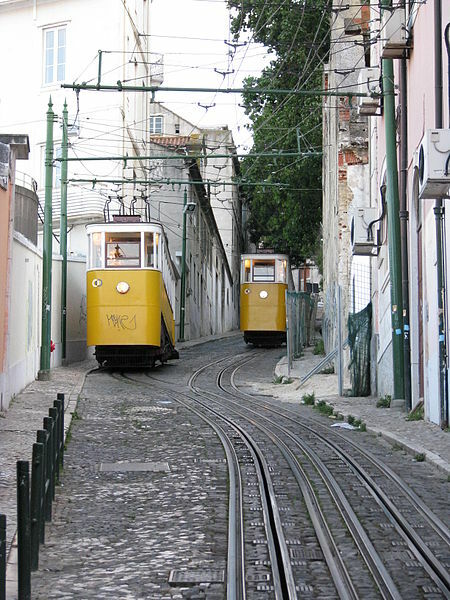 Three funicular railways – Gloria, Bica and Lavra – are fitted in convenient spots in Lisbon, taking you up to spectacular miradouros, orbelvederes. All are operated by Carris, the city transport undertaking. The Gloria funicular was opened in 1885 and in February 2002 it was classified as a national monument. 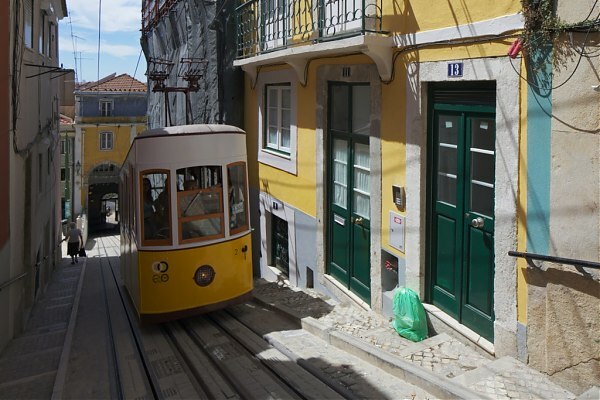 Located on the west side of the Avenida da Liberdade, in Restauradores square, just round the corner from the tourist office in Palácio Foz, the Gloria funicular connects Lisbon’s downtown with the Bairro Alto. It takes you right up to the Miradouro de São Pedro de Alcântara, a wonderful look-out point with a shady statue-lined terrace and plenty of photo opportunities. Excellent views of the city and castle are to be had from the gardens. Just across the road at Rua de S. Pedro de Alcântara, lies the Solar de Lisboa, a Port Wine Institute, where a vast range of port-wines may be tasted and purchased. The ride in the Gloria funicular is short, but atmospheric. Search for your apartment in Baixa (Lisbon’s Downtown) or your self-catering accommodations in Bairro Alto. Apartment 242 is right here! The Bica funicular climbs the Rua da Bica for 245 metres from the Rua S. Paulo, near Santos, to the Calhariz district(Calçada do Combro/Rua do Loreto). The lower station of this funicular is almost hidden behind a façade on the Rua de S. Paulo with the inscription“Ascensor da Bica“. It was constructed by Raoul Mesnier de Ponsard and opened to the public in 1892.In 2002 it was designated a National Monument. It’s the most traditional one, especially in June, during the Santo António festivities were people dance in the streets,listen to Fado, eat grilled sardines and drink. If you want to look for accommodation in Santos or apartments in the Bica area please check Traveling to Lisbon’s website. 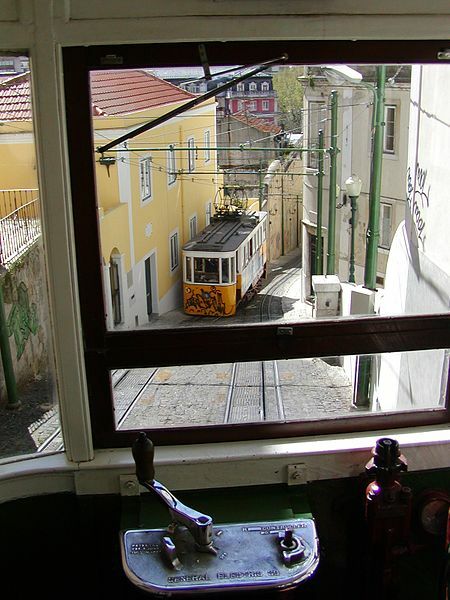 Inaugurated in 1884, the Lavra funicular was the first transportation of this typed to defy the gravity laws and to provide one of Lisbon’s most steep areas, linking the Largo da Anunciada and the Travessa do Forno do Torel. It runs from the eastern side of the Avenida da Liberdade, near Restauradores Square, at a 25% gradient for 180 metres. The Lavra funicular has the capacity for 22 people seating and 20 standing, and the journey takes about 2 minutes. Search for your apartment in Lisbon historic centre.